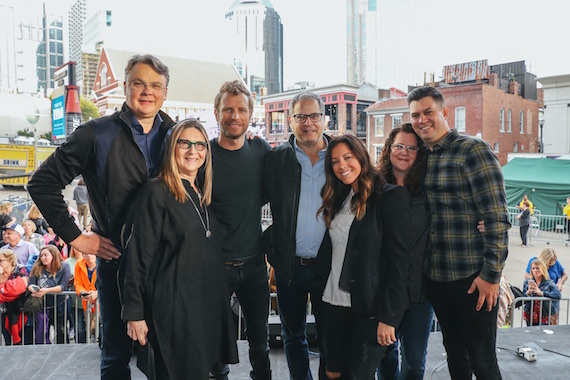 Pictured (L-R): Willard Ahdritz (Kobalt founder/CEO), Merril Wasserman (EVP, Business Development), Dierks Bentley, Richard Sanders (President, Kobalt North America), Laura Alexander (Senior Creative Director), Stephanie Cox (VP, Creative), Jesse Willoughby (GM, Kobalt Nashville). Dierks Bentley has inked a deal with Kobalt Music Copyright for representation of his back catalog, including hits such as “I Hold On,” “Home,” “Drunk On A Plane,” “Sideways,” and more, MusicRow has confirmed. Kobalt will also handle administration for Bentley’s future compositions.